I recently came across an interesting comparison of two middle school reading lists. The author, Annie Holmquist, compared a list from 1908 with a current list from the same state on the basis of time period, thematic elements, and reading level. The first list is packed with excellent books I enjoyed as a child (no, I wasn’t reading them in 1908! ), and books that I have discovered and enjoyed in the years since. 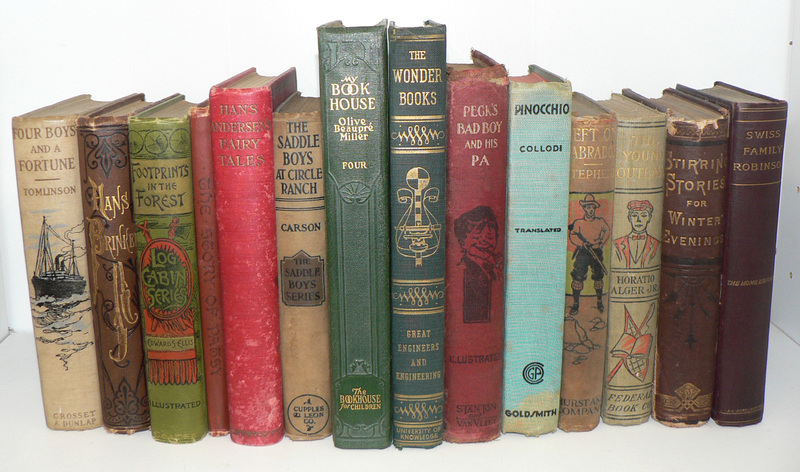 I would consider all of the 1908 selections to be delightful, engaging reading that should be well within the reach of a middle-school student. Virtually any of them would make an excellent family read-aloud. The more recent list contains two classics and a dramatic version of The Diary of Anne Frank, rather than the book. I find it interesting that the selections seem chosen not to introduce students to some of the most fascinating times and places in history, but to wrap them in the familiar. That scarcely seems like the point of education. I remember my own outrage in high school literature class when I found that our reading was not Shakespeare, Austen, or Twain, but rather S. E. Hinton’s The Outsiders, Rumblefish, and That Was Then, This is Now. There was nothing wrong with the Hinton books — they did correspond rather nicely to the current events in nearby East Los Angeles and even in our neighborhood. They were interesting and relatable, and not even remotely challenging, and would have been great casual or summer reading. But why spend time on them in a literature class? I had been reading old books for years — books in which characters my age talked about or dramatized scenes from Shakespeare, mythology, and other great classics. I had been looking forward to joining them in the exploration of classics from The Odyssey and King Lear to The Last of the Mohicans. Once I understood the books that my favorite characters read, I would enjoy those characters and stories more. Beyond that, I’d caught a glimpse of the “great conversation,” and I wanted to join it. This post Middle School Reading Lists 100 Years Ago vs. Today was originally published on Intellectual Takeout by Annie Holmquist. You may also find “Print or eBook for Literature Study?” helpful. Previous story When is Reading Hard?